Back in 2014, I bought a bottle of the Soft Whisper body wash at my local Dollar General. It was only $1.00 and I thought it smelled good, so I thought I would let Amanda try it. I had bought another value-brand body wash a few weeks earlier that was terrible. So I wasn’t expecting much. Well, I was pleasantly surprised. This stuff was actually pretty good! It had a good lather and like I mentioned before, it smelled very good as well. I had never bought a body wash that was that good for that cheap! Not only was it just $1.00, but it came in an 18 oz bottle as well. 3 new scents I bought in May 2017. They are Tahitian Dream, Moonlit Escape, and Apple & Honey. The first bottle I bought was Caribbean Mist but I can no longer find this variety at the store. The bottles say “Limited Edition”, so I suspect that these fragrances will not be around forever. The bottles also say “If you like Bath & Body Works, Try Me !” I know that Bath & Body Works stuff smells good and this Soft Whisper body wash does as well. Amanda smelled of the Brown Sugar Honey and she said “I would be afraid to use that.” I asked her why. She said ” because bees might get after me!”. It smells like real honey. You will want to dip your chicken nuggets in this stuff but don’t try it ! As of April 2015, the Soft Whisper Body Wash page shows that the current body wash scents are Cucumber Green Tea, Citrus Sage, Pomegranate Lemon Verbena, and Nectarine White Ginger. The antiperspirant/deodorant choices include these scents and Nectarine White Ginger. This body wash must be similar to Dove, because the bottles say “IF YOU LIKE DOVE, TRY ME”. Who Makes Soft Whisper and Power Stick Products? Soft Whisper and Power Stick brands are made in the USA by A.P. Deauville, LLC. This company has made personal care products since 2001. 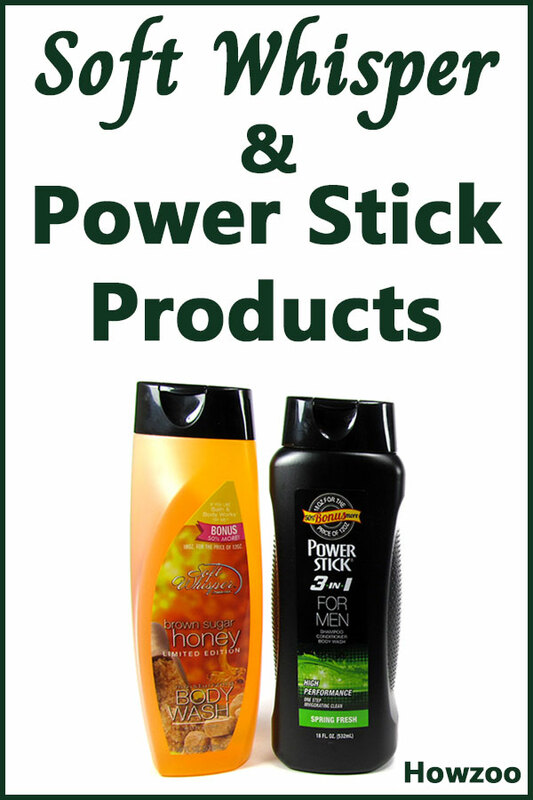 They purchased the Power Stick brand from Unilever and started marketing this as a value brand for men. In 2010, they introduced the Soft Whisper line for women. In addition to the main company website, the company also has a product site at power-stick.com. After I learned about A.P. Deauville and their products, I also had to try the men’s Power Stick line. The deodorant is my new favorite brand. It is not fancy, but it smells nice and it gets the job done. What I like the most is that it only costs $1.00 at my local store. It is good enough that I cannot justify buying anything but this product for my deodorant needs. The shower gel products that I have tried are great as well. As with the deodorant, they smell nice and get the job done at a very low price. I bought the 3 in 1 body wash-shampoo-conditioner for a buck at my local discount store. You can’t beat that. Power Stick is now my number one choice for everyday use. For special occasions, I use Old Spice Fresh Fraicheur. I love the way it smells, but it is quite a bit more expensive than the Power Stick and unfortunately it appears to be discontinued. 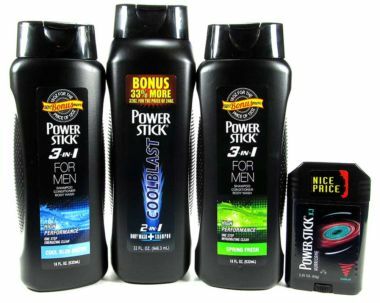 I will look for a new high-end body wash for special occasions but will continue to use Power Stick for day-to-day washing. I am glad I found out about this company. The fact that these products are made in the USA is a big plus in my book. You can buy American and save money at the same time! How often does that happen? Let me know if you like these products. Soft Whisper brand is made by A.P. Deauville. The best way to find out where to buy it in your area would be to contact them directly. Here is their contact page. I haven’t seen the Winter Wonderland. Is it body wash? 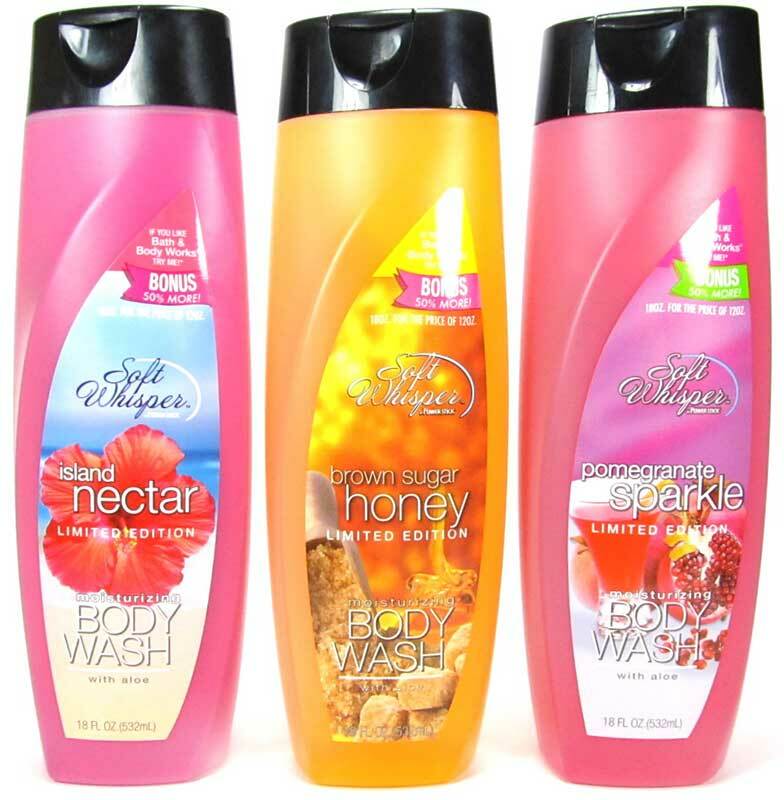 I used to buy these body wash at Dollar general, I can barely find any anymore…Are they not making them anymore?? I looove them and their awesome price! I bought some just yesterday at Dollar General. I posted a picture of them at the bottom of this article. In my store they are in the “Dollar Deals” section on the other side of the store away from the other body washes. But yes, I still use the men’s bodywash and shampoo and still love it myself. I am sure your husband would as well. I have really liked everything I have tried by this company, and you can’t beat the price. We get our soft whisper and power stick products at the dollar tree and a local discount dollar store in our area. I really like the deodorant but I can’t find it anywhere so I am using the shower gel but I would really like ti have both. I’ll keep an eye out for the women’s deodorant. I still use both the men’s deodorant stick and the 2-in-1 body wash-shampoo. Great value. Yes they really are great products for the money. 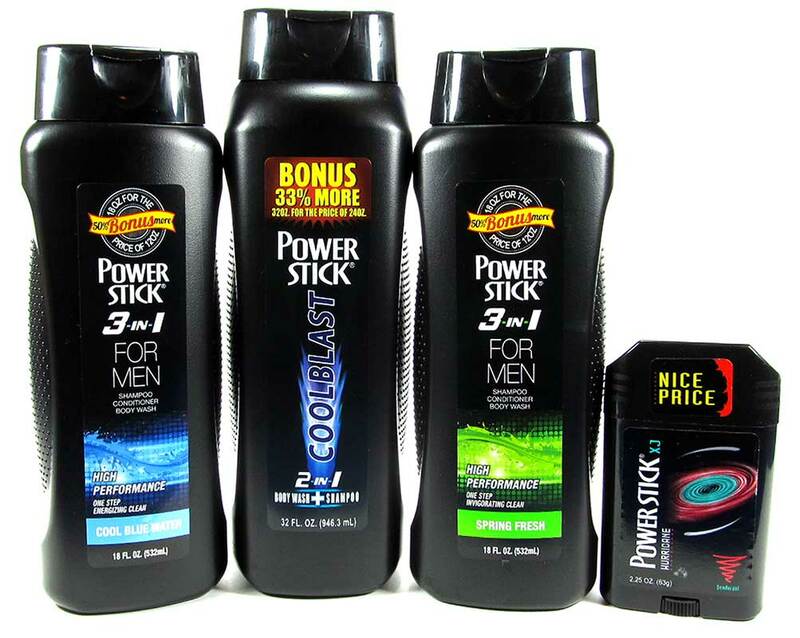 I still use the Power Stick men’s body wash/shampoo. It’s just as good as some of the more expensive brands. I use the dandruff shampoo (just shampoo, not a conditioner combo), and it is one of the best shampoos I’ve ever used. Far better than more expensive brands. My dollar store was out recently and when they restocked I was so relieved I bought four of them. I tried another brand at the dollar store and it was typical of what you would expect. This is not. Could easily pass as an expensive shampoo. I seldom write reviews. This is a great product! Now I’m going to try to body wash! I went on the Walmart website and ordered around 8 different scents of Soft Whisper body wash. I luv it and it’s good for sensitive skin. Only $1.00 a bottle and free pickup at the store. I found soft whisper at Dollar General stores in True Romance love the smell and how it lathers up. I bought up all I could find at on the way home from a road trip to the coast back in the summer of 2017 now running low on product. This is one of the best product I found for the money I know the product is not to be found again just wish I could have brought up more. I used other major brands but this one fits me for I just love the smell and how it feels on my skin. I keep looking for others but going to miss this one. 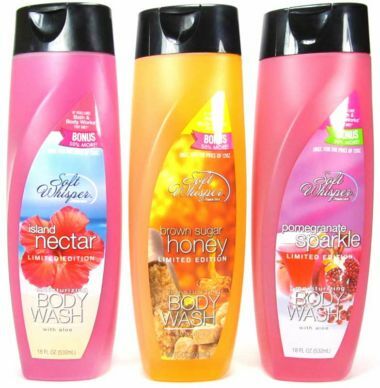 I have used these body wash products every since they came out. Now I can only find one fragrance at the Dollar General about every couple of months. I used to buy about 10 different fragrances at a time. Is there some place I can buy a variety of fragrances at a time? Happy Thanksgiving. The dandruff shampoo works great.